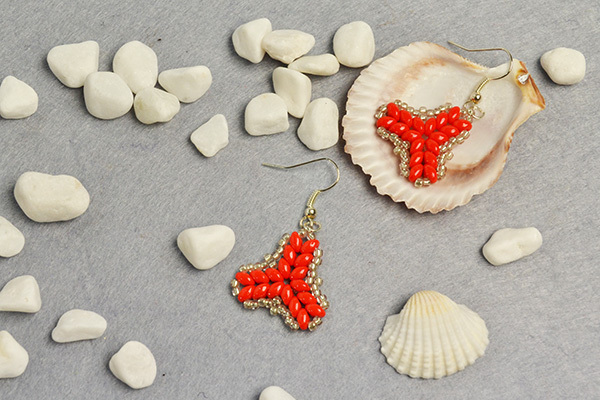 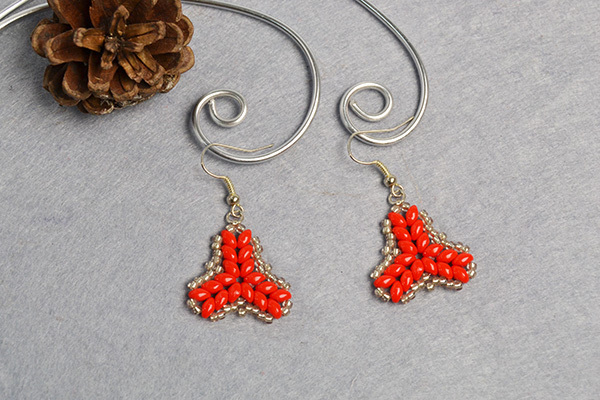 This pair of 2-hole seed beads earrings is made with red 2-hole seed beads and silver seed beads, which is quite simple in appearance, but it is also quite charming and it will be very nice to wear for holiday. 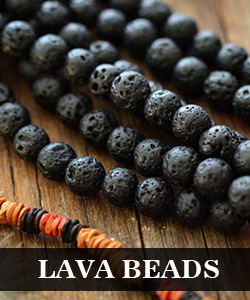 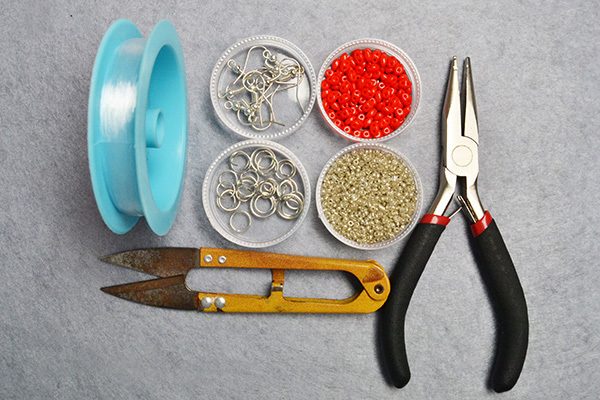 3rd, cross the wire through the upper hole of next red bead. 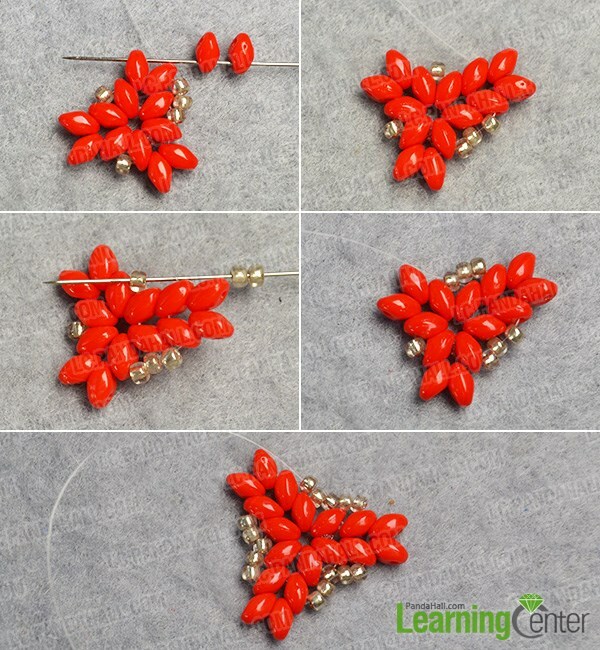 3rd, slide 2 silver seed beads to the wire and cross it through the upper hole of next red bead. 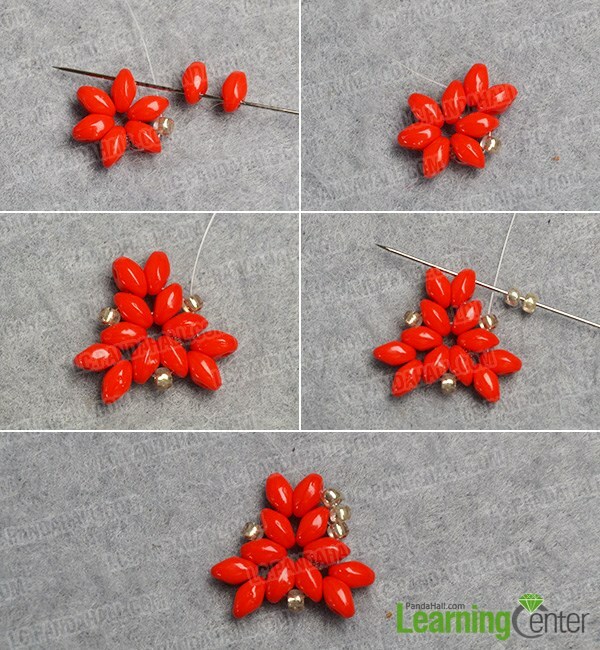 3rd, repeat above steps to add more beads to the other 2 sides with red and silver seed beads as pictured. 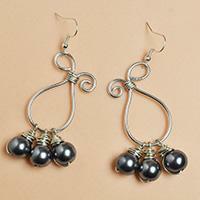 3rd, slide 2 silver seed beads to the wire and cross it through next 2 silver seed beads as pictured. 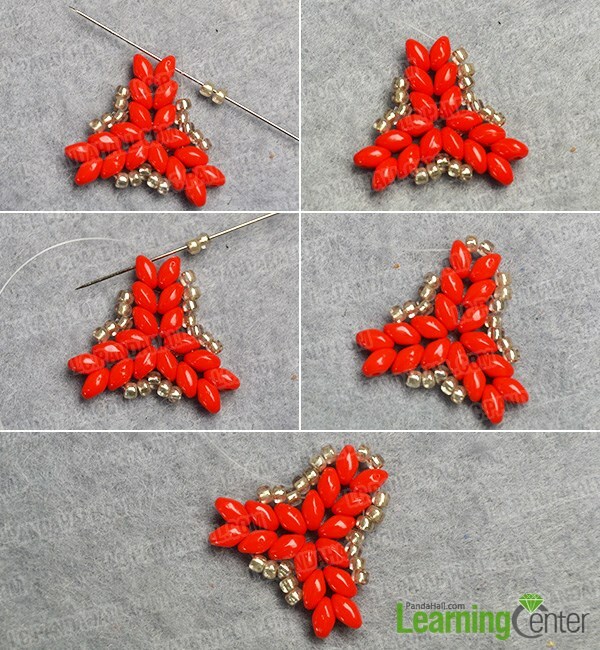 5th, cross the wire along the beads to fix it and the beads, and then cut off the excess wire. 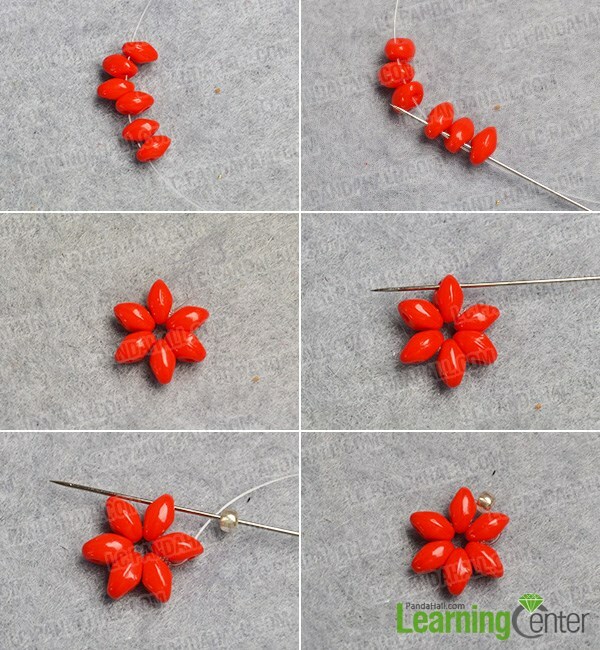 2nd, repeat above steps to make the other one of the DIY seed bead earrings. 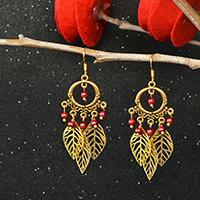 Here is the final look of the 2-hole seed beads earrings. 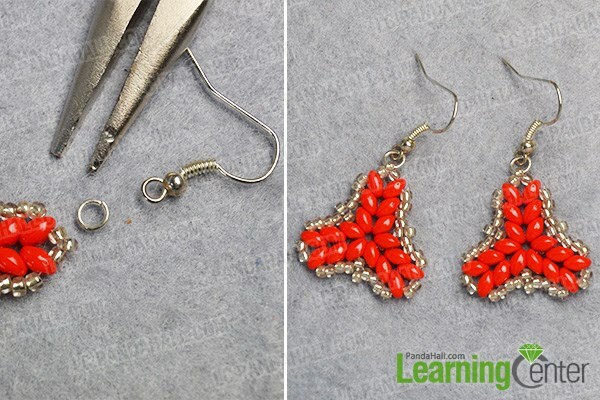 Now this pair of DIY seed bead earrings is finished, do you like them? 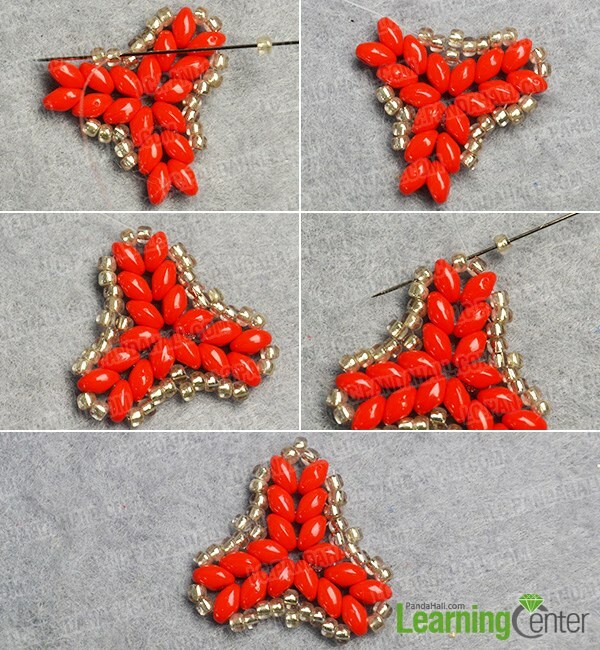 There are too many tutorials on how to make seed bead earrings, if you also love DIY seed bead earrings, then have a nice try!